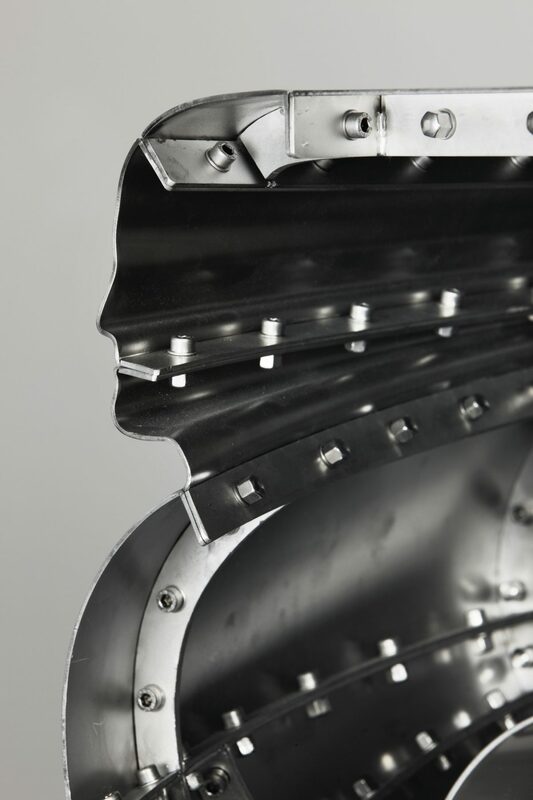 The Curious Image was the first solo exhibition in the UK by the celebrated Dutch artist and designer Jeroen Verhoeven. 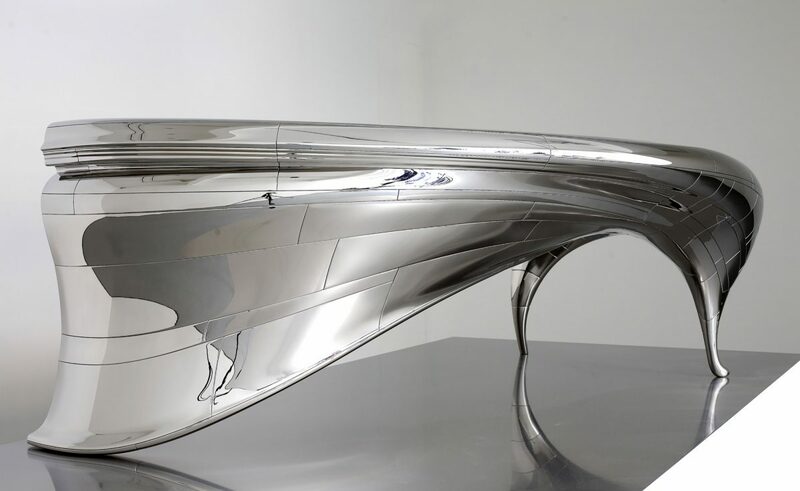 The centrepiece was Lectori Salutem (pictured above), a monumental creation made from highly-polished steel. 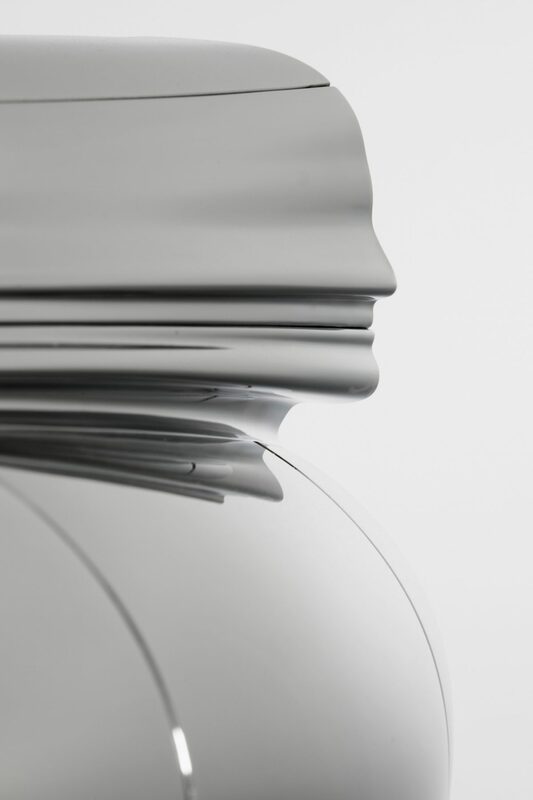 While ostensibly a desk, its flowing contours and reflective surfaces play smoke and mirrors with the eye; from some aspects it looks like a machine, from others an object of hand-crafted beauty. 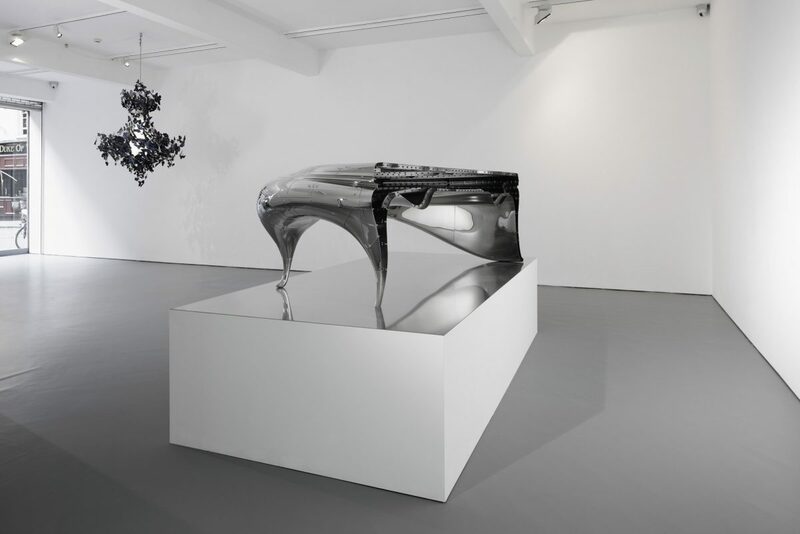 Like Verhoeven’s earlier Cinderella Table, 2005, which is now in the permanent collection of both the Victoria and Albert Museum, London, and the Museum of Modern Art, New York, the work combines highly skilled craftsmanship with complex industrial processes. 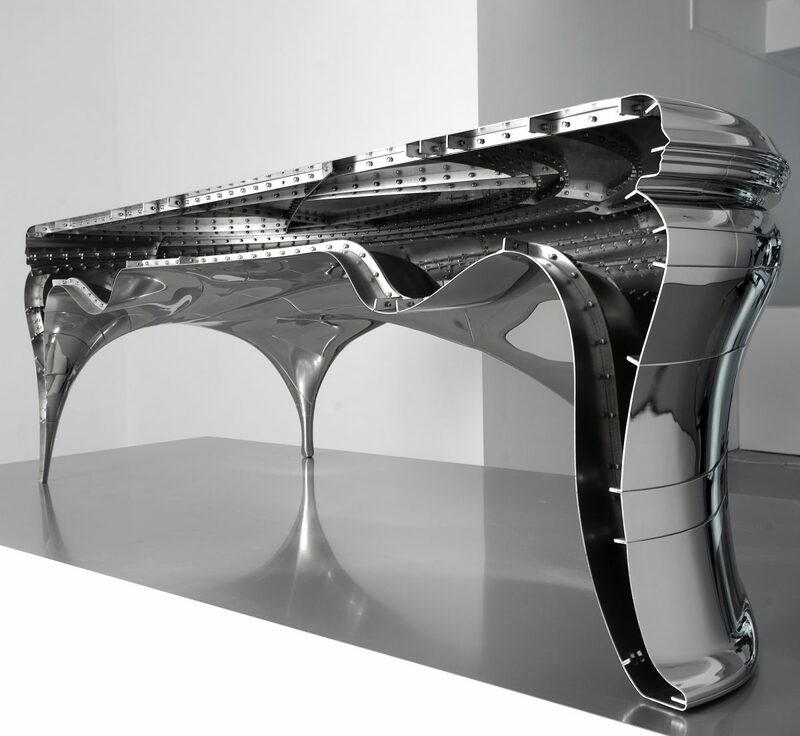 One side of the desk seems to have been spliced in two, exposing the beauty of the engineering within. When the work is viewed from certain angles, two silhouettes can be seen, depicting Verhoeven’s twin brother Joep and Judith de Graauw, who work alongside him to form the Dutch design house Demakersvan. Lectori Salutem thus tells the story of its own creation, allowing the viewer an insight into the physical construction of the work, as well as providing a highly personal link with its makers. Verhoeven sees this as an essential element of Demakersvan’s output: ‘We are storytellers, from fantasy to factory, from statement to product’. 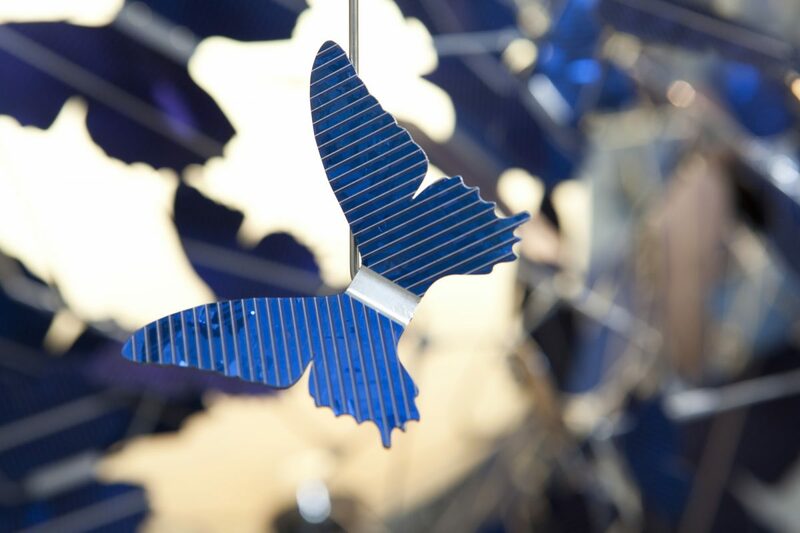 In contrast to the solidity of the desk, Verhoeven’s chandelier, Virtue of Blue, 2010, is a delicate construction featuring 500 solar panels cut into the shapes of four different breeds of butterfly. These cluster around a flame-like, hand-blown glass bulb and, though they are static, appear to be in flight. 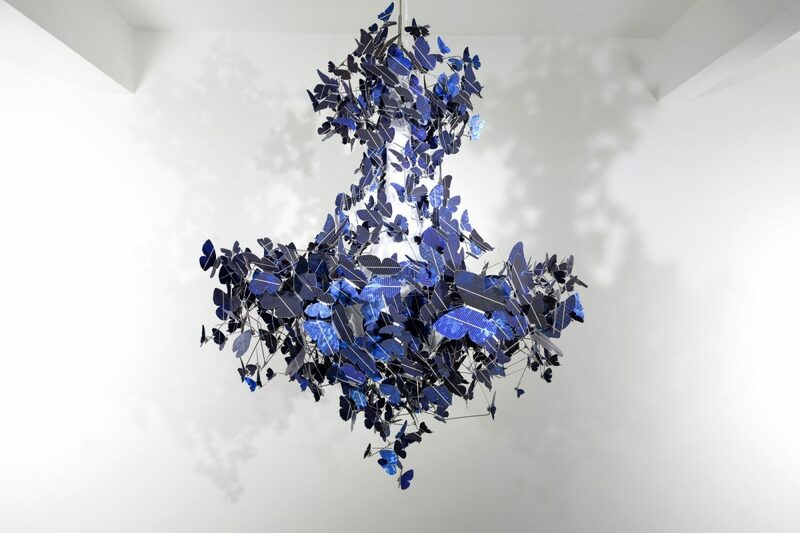 Another remarkable element of the chandelier is that it is self-sustaining; like real butterflies, which use the rays of the sun to raise their own body temperatures, the wings of the chandelier butterflies absorb energy during daylight hours to provide power for the light they surround.